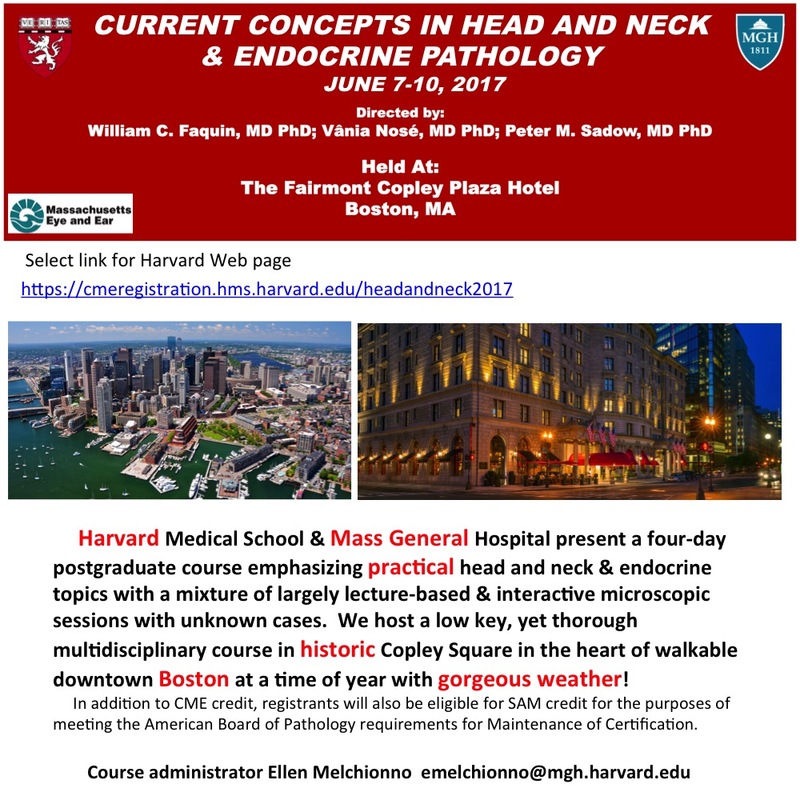 Thanks to Dr Rajeshwari K. Muthusamy, Consultant Pathologist at Kovai Medical Center and Hospital, Coimbatore (India) for contributing this case and Dr. Belinda Lategan, St. Boniface Hospital (Winnipeg, Manitoba, Canada) for writing the discussion. To contribute a Case of the Week, first make sure that we are currently accepting cases, then follow the guidelines on our main Case of the Week page. 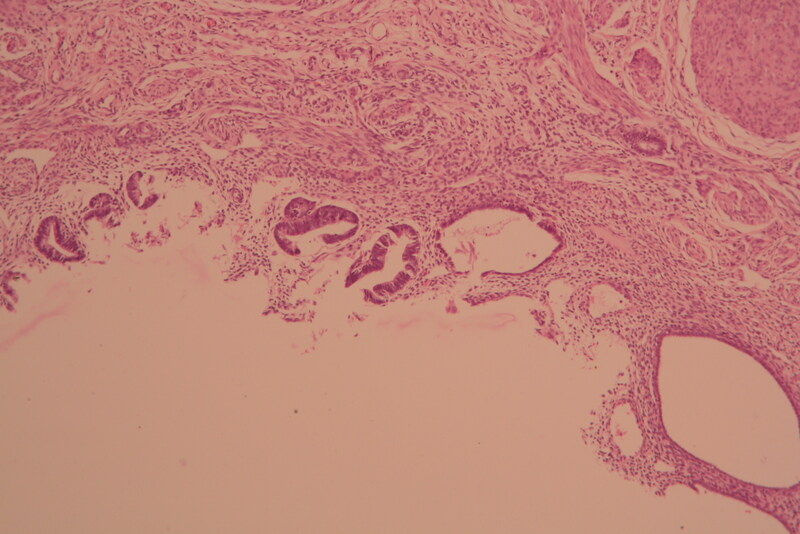 (1) Our request this week is for micro images relevant to Breast cellular fibroadenoma. (2) We have a number of new management articles that have been posted on our Management page. Some of the articles written by Vachette's Mick Raich are, "Understanding the Benefits of Registry Reporting", "Can Your Biller Help You Successfully Navigate MIPS?" and "How To Identify PQRS Penalties." In addition, new CME courses offered by ARUP Laboratories were posted last month, and you can read about InCellDx's and Optronics' new products on our New Products and Services Page. (3) We would like to welcome Dr. Carla Ellis and Dr. Emily Reisenbichler to our Editorial Board. Dr. Ellis is an Assistant Professor at Emory University School of Medicine and will focus on our Renal and GU Pathology chapters. Dr. Emily Reisenbichler is an Assistant Professor at Vanderbilt University and will focus on our Breast chapter. We look forward to working with our new editors. A 46 year old woman with menorrhagia and dysmenorrhea for 2 years presented to the hospital. USG showed a thickened endometrium. A hysterectomy was done. 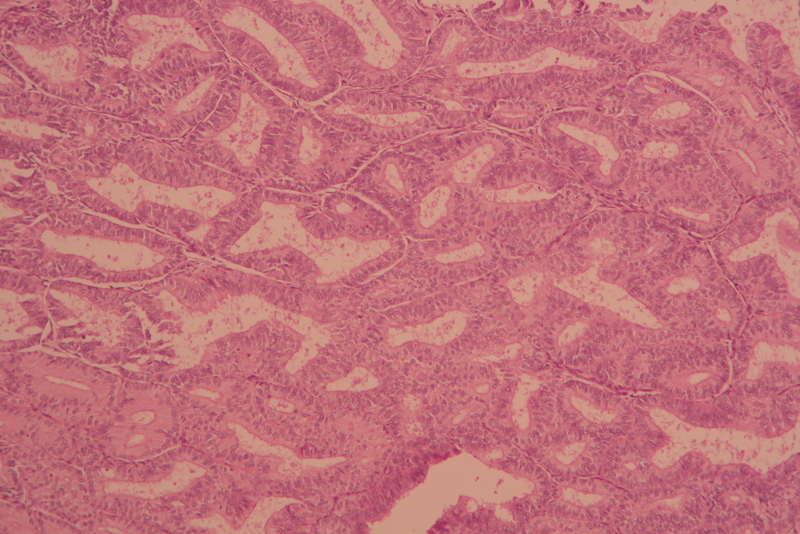 Mixed endometrial carcinoma (Endometrioid and serous carcinoma). 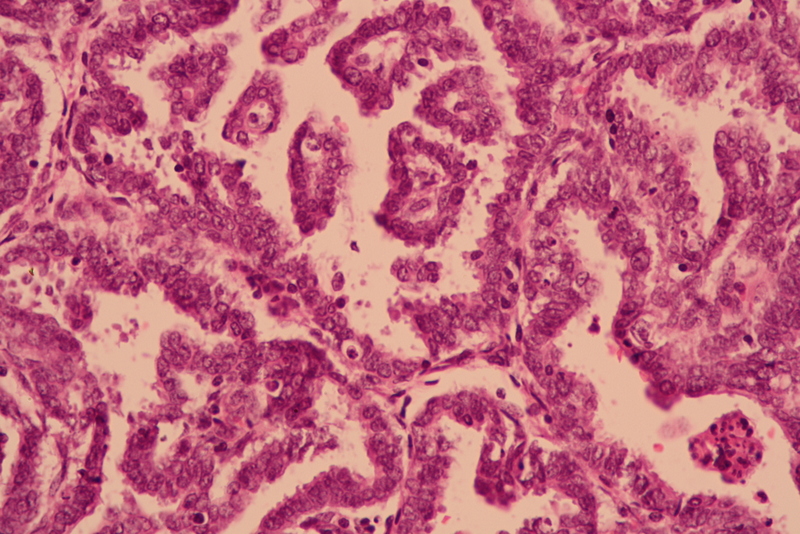 Endometrial carcinomas, the most common malignancy of the gynecological tract, can be divided into type I and type II tumors, which are biologically distinct with divergent histology, tumorigenesis and clinical behavior. 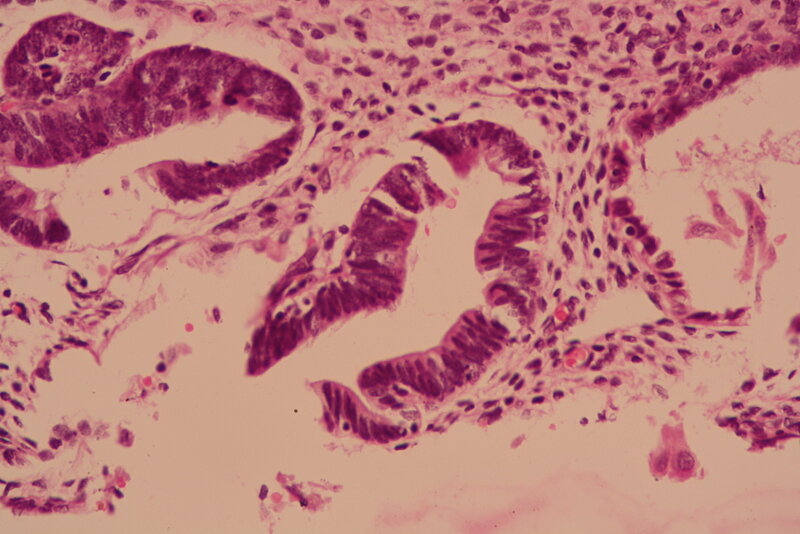 Type I carcinomas are low-grade endometrioid adenocarcinomas and include histologic variants such as endometrioid adenocarcinoma with squamous, secretory or villoglandular differentiation. Serous carcinoma, clear cell carcinoma and carcinosarcoma are Type II. (WHO classification of tumors of the female reproductive organs, 2014). 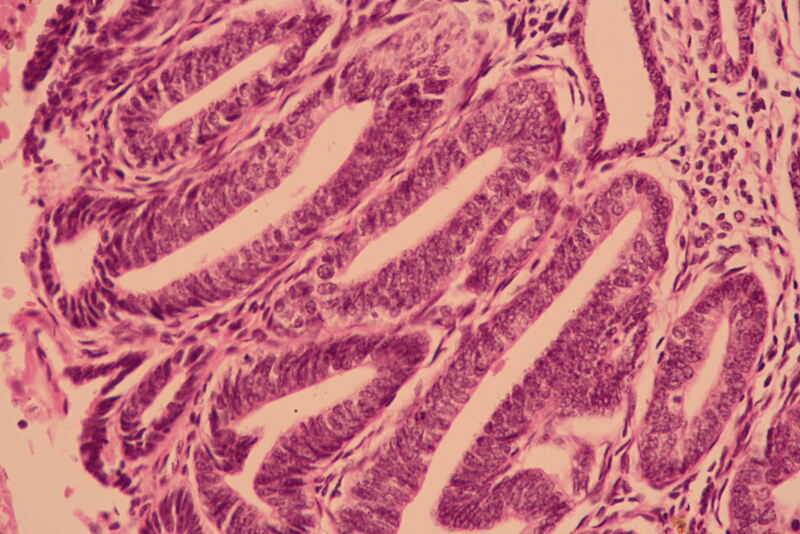 Mixed endometrial carcinoma, as defined by the WHO, is composed of two or more different histological types of endometrial carcinoma, at least one of which must be type II. The second component must constitute at least 5% of the tumor. The most frequently encountered combination is endometrioid carcinoma and serous carcinoma (Mod Pathol 2016;29 Suppl 1:S45). 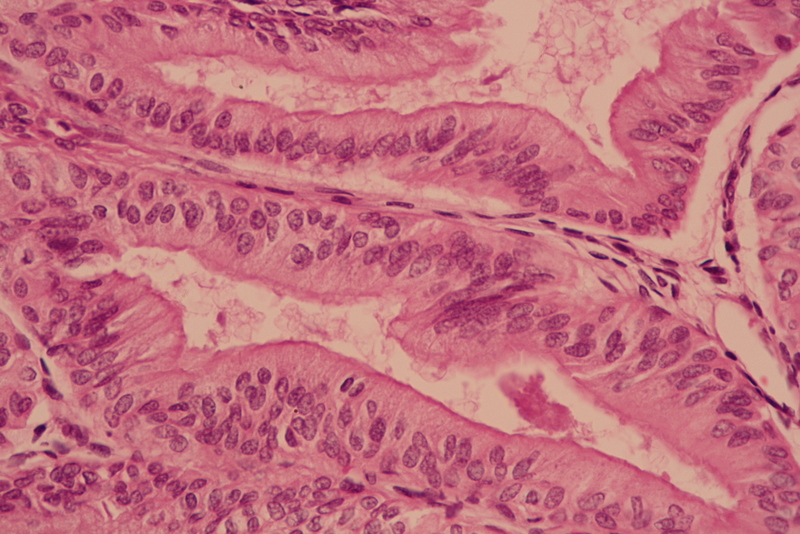 In this case, the edometrioid carcinoma component has classic histology: stratified columnar cells lining complex tubules with a smooth luminal border in a background of scant stroma ("back to back" arrangement). The serous carcinoma component consists of highly atypical, mitotically active cells with scant cytoplasm and a high N/C ratio arranged in a tubulo-papillary pattern with a scalloped apical border. Detached tufts of cells are also seen. Recognition of a type II component is important and must be mentioned when found even in small biopsies. As little as 5% serous component may adversely affect patient outcome, although a definitive estimate for each component is only possible in an excisional specimen (hysterectomy). 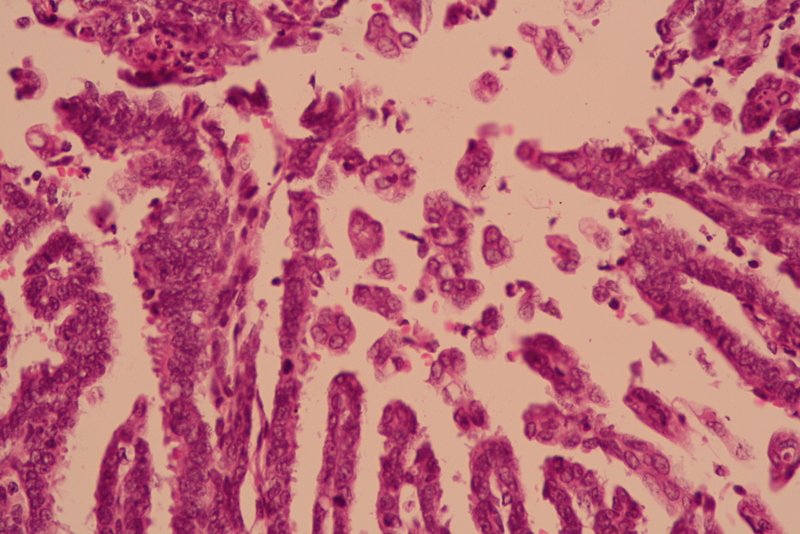 Rigorous criteria must be used for diagnosis as endometrioid carcinomas may demonstrate papillary arrangements, and occasionally serous carcinomas may demonstrate glandular architecture. High grade nuclear features in association with glandular architecture should raise the possibility of a serous component. Precursor lesions like serous endometrial intraepithelial carcinoma or atypical endometrial hyperplasia may also raise suspicion of a mixed carcinoma. Ancillary studies may be helpful. Most serous carcinomas express p53 in an aberrant pattern (so called "all or nothing" with either 0% staining, or diffuse strong staining in at least 75% of cell nuclei) and diffuse p16 staining by immunohistochemistry (Mod Pathol 2016;29 Suppl 1:S45). 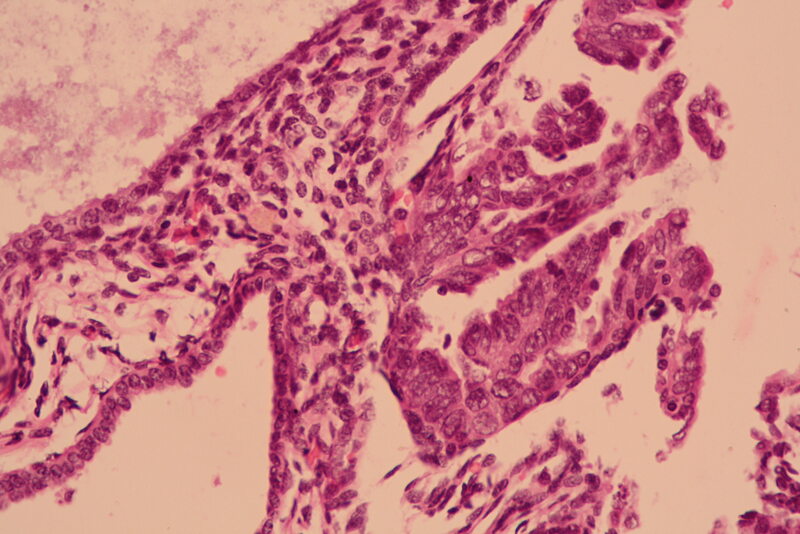 The most common molecular alterations found in Type I endometrial carcinomas are microsatellite instability (MSI), and mutations of PTEN, KRAS and β-catenin, in addition to PIK3CA, PIK3R1 and ARID1A. 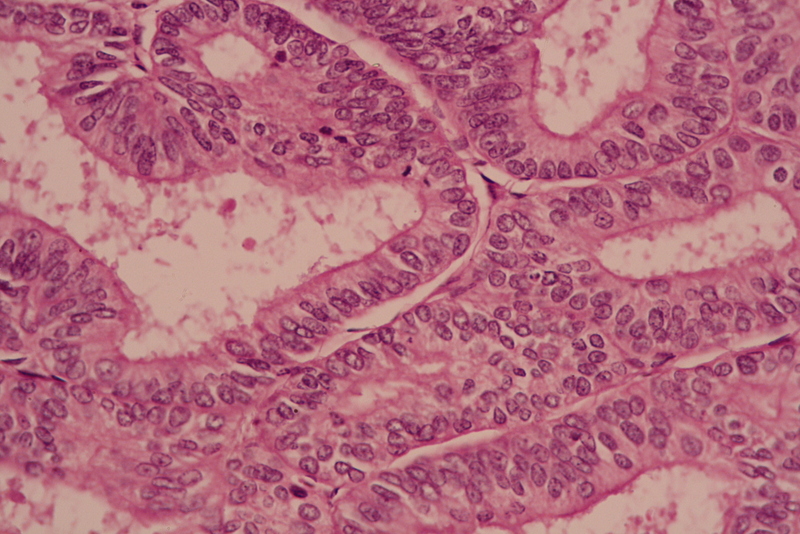 p53 mutation is the most common alteration in Type II endometrial carcinoma. 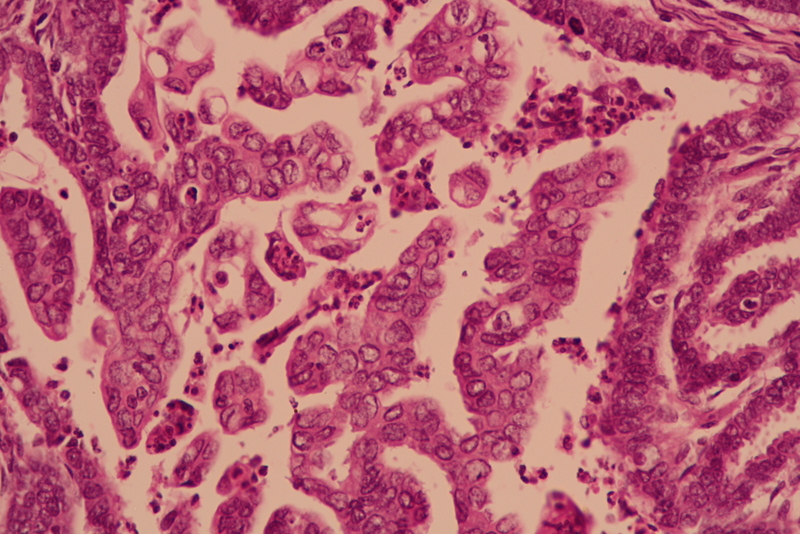 Mixed carcinoma (endometrioid and serous carcinoma) may represent progression from a low grade endometrioid carcinoma to serous carcinoma, and demonstrates ambiguous molecular characteristics (J Pathol 2012;228:20). 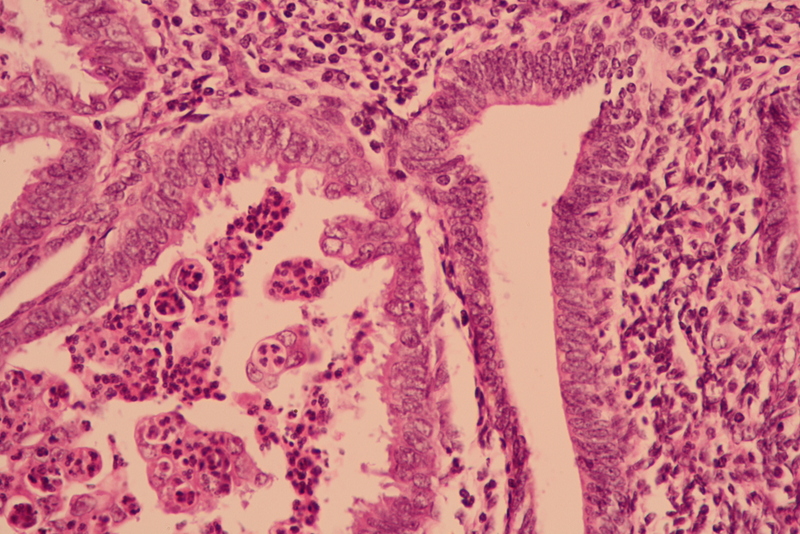 The clinical behaviour of mixed endometrial carcinoma is determined by the highest grade component, with the FIGO stage as the most important factor in predicting recurrence and survival (Obstet Gynecol 2012;120:1371).